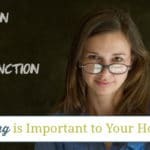 When my children were younger I was very diligent in including spelling and vocabulary as part of our homeschooling days. As they have gotten older I haven’t been able to find a curriculum or method that they enjoy and I find effective. So, I stopped looking this last year. I decided that we would just work on using the phonics they learned when they were young anytime they stumbled upon a word they were unsure how to spell. Since my children love to read we often discuss the words they come across that they don’t understand, so vocabulary class has been happening through literature. Yet, I know as we’re approaching high school (when did that happen!?) that we have to buckle down on spelling and vocabulary more than we have the last few years. Before heading out on our unexpected trip this year, I had begun looking into educational apps that my kids could use while we were traveling to keep my kids learning throughout the month we were away from home. I found a few that I liked and a lot that I didn’t. There was one app that I found that I knew my kids needed, but I didn’t have a lot of time to look into everything that the app could do for our homeschool. So, for the time being I downloaded the free version for my kids to use while we were traveling. I knew that I wanted to make sure that they would enjoy the activities and not get bored with the app before I actually paid for the premium version. 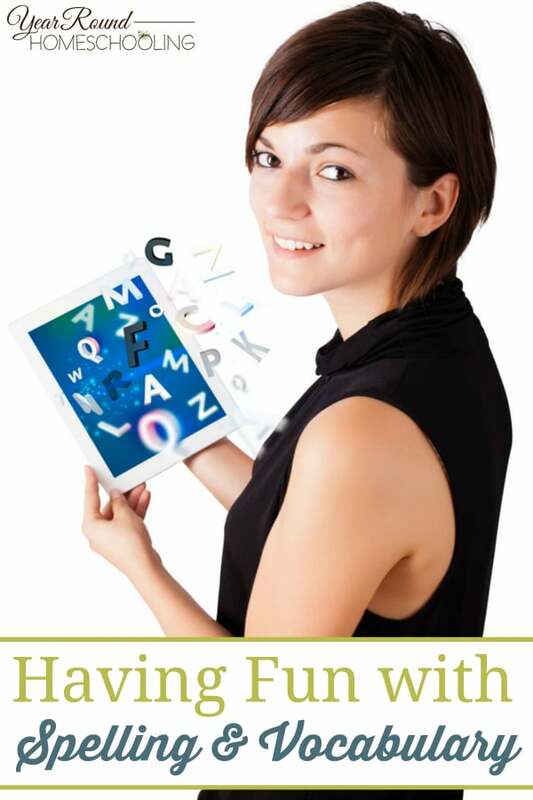 Since I’ve been working on making changes to our upcoming homeschool year and most of those changes involve moving towards using digital curriculum almost completely, an app for spelling and vocabulary makes sense for us! 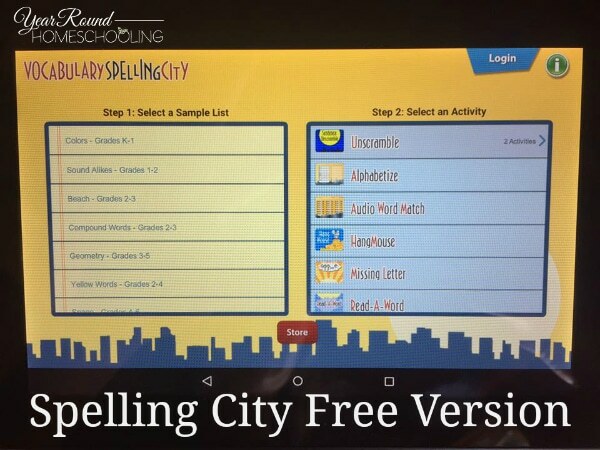 Spelling City has a website and apps (available on iPhone, iPad, iTouch, Android, Chromebook and Kindle) that are dedicated to teaching your kids how to spell and define words using fun online or app based games! Free Version: Sample word lists are provided to use through their free program and your kids will have access to 11 different games including; Audio Word Match, Word Unscramble, Hang Mouse, Test N Teach and more! If you have a specific list of words that you want your children to use for spelling, you can input a custom list for a simple spelling test using the free version as well. Premium Version: As a premium member (for ONLY $29.99/year) you can create up to 5 student accounts that you’ll be able to track and assign word lists to within your Premium Parent Toolbox. Each student account tracks the time they’ve spent using Spelling City, the game they played and the word list(s) they’ve used while logged in. Anytime you’d like to download or print your student(s) activity report you can do so right from your toolbox! In addition to creating your own word lists for your students to use in any of the 35+ games, as a premium member you also have access to word lists covering math, science, literature and social studies all organized by grade from Kindergarten through High School. Teaching grammar is an important part of language arts and through the Spelling City premium membership your students can practice their contractions, parts of speech, word abbreviations and more! If you use a specific reading program like Evan-Moor, Reading Street or Words Their Way, you can import word lists from these curriculum as well! As a child led homeschooler, I love that I can create word lists for whatever my kids have chosen to learn about for their history, science, literature studies and more! 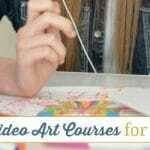 Homeschool moms can get busy (add in a family business and it can be chaos! ), so having the sample word lists uploaded to my kids’ Kindle Fire is great for those times when I’m too busy to log in and create my own word list. 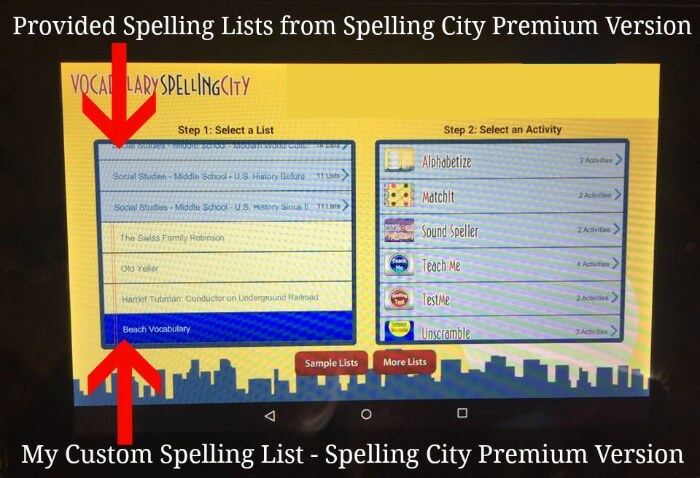 My daughter loves to spell and my son is not a great speller, but both of them love using the Spelling City app! Whenever I can find a resource that both of my children like to use that is a huge win! I know that my kids will be learning how to spell and define words while they have lots of fun this year, I’m so glad that I took the time to look into all that the premium membership had to offer!